Caleb and his 8 year old daughter, Halayia were sitting at the park feeding the resident geese. The many flocks of spring and summer had flown south, the park was quiet, settling in to the crisper air of winter. The greese breath was visible as they gathered for the crumbs. Caleb and Halayia took this path as they walked home from Halayia school. The park workers were finishing up the holiday decor. Halayia watched them, absent-mindedly tossing her crumbs. Caleb could see her little gears spinning and smiled, he knew a question was about to emerge. He sent up a request that the Lord would place the answer in his heart before he heard the question. Those gears were seriously grinding on something big. “Papa?” came the sweet voice of his first born daughter. He smiles. “Yes, Layia?” He threw another handful of crumbs. “Why don’t we celebrate Christmas anymore? We used to, and I don’t understand. I miss the lights and all the stuff we did then. My friends all do, and Gail invited me to a church play, but Mama says no. Everybody does it, but us it seems.” The sadness and dejection in her voice broke Caleb’s heart. Oh boy Lord, help me here. “When is your birthday Layia?” The words were out before he realized it. A confused face looked up at him. “May 6th, Daddy, you know that. I’m talking about Christmas.” Bright green eyes beheld him with question. “Yes, I know, now when is Jesus birthday?” Caleb tried not to smile as he could see the Lord had heard his prayer and was answering. He began to see where this was going. Halayia’s face scrunched in introspection. “It’s not December 25th, but I don’t know….eerrr…I don’t remember His birthday day.” she thought more out loud than in answer. Halayias face again scrunched up, this time in a form of disgust. Alice was a girl at school who was constantly belittling Halayia because she was a Christian. Many a tearful face had greeted Molly and Caleb from Layias sweet face after school from hurtful things Alice did. “I would be very mad, Daddy, why would we do that? Halayia tossed another crumb-full down hard on the ground. a piece hit a goose on the nose and made it squack and flutter it’s wings. “Absolutely, that would be very crazy, huh? You are a bit young dear Layia, but there is a long history to learn about Christmas and how it came to be, and if you’re willing we shall begin to teach you. But right now, let just say that how Christmas started was by people who worshiped the god Isis and this god was just Satan trying to fool these people. But in the real world, God’s world, Jesus’s world, His birthday got mixed up with His enemies party and over the years people tried to make it better and added to it to include Santa Claus and many things. So in truth people don’t even realize they arecelebrating Satan’s idea of a holiday for him but somehow because some Christians wanted to make it a good holiday, most now think that it’s Jesus’s birthday they celebrate instead. So you see, Layia, it would be like celebrating your birthday on Alice’s, who doesn’t like you because you love Jesus, but worse because Satan is actually Jesus’s enemy, while Alice is foolish and deceived, she is not your enemy. Does that make sense?” Deep inside Caleb took a deep breath, inviting the Spirit to open his daughters mind to understand what was a very complicated thing. “Well, it must hurt Jesus a lot since everybody has changed his birthday and they don’t know… Do they?…I mean, even Christians, our church, our family, who loves Jesus, they all do! How can they not know? Daddy, why doesn’t Jesus tell them?” Halayia was perplexed still, but Caleb could see she was grasping the truth. “He does tell them. Just like your mommy and I learned the truth, everyone can learn it too. But just like you, it’s hard to change, to stop celebrating like everyone else, when it seems innocent and harmless. Especially for those who think they can say they are really celebrating Jesus so it doesn’t matter. But, Layia, always remember it’s not what you think of anything in this life but what God thinks that matters most, and He is very serious about the truth of things, it’s His thoughts we must take our actions on. He had a very special reason for sending His Son, Jesus, to be born when He did, the exact day and hour has meaning. HIS birthday is the most important birthday ever, we must be careful to honor God’s timing and ways. As you grow older He will teach you how very special each moment and event in your life has lots of meaning, but Jesus birthday is full of all the meanings of all the lives on earth in one Man. We want to honor that, so we don’t have anything to do with what makes Jesus birthday less. God says have NOTHING to do with evil. Sometimes, like now, that’s hard. The lights are pretty, the plays are well done, the gifts are fun, the songs and shows seem innocent and seem to be good, but to God its like everyone has decided to go to Satan’s party and this makes Him very sad.” Caleb began to gather the bags, now empty of crumbs. The sun had fallen behind the horizon. Darkness was encroaching. Halayia perceived they were leaving and took his hand. “Does it make God happy that we don’t celebrate Christmas?” the question was full of more. More than just the one, as all things rich with a heart that longs to please God. Caleb’s heart soared. “Yes, my cub, yes it makes Him happy. But more than that, it make us closer to Him, His presence is like you and me, here in this park, talking, feeding the geese and loving to be together. It gives us joy too! He can teach us many things when we are trusting Him and obeying. Especially when it’s hard. I’m sorry it is hard for you dear Layia to not be able to join in with so many things. I’m very sorry that your mommy and I did not realize before what Christmas was and we celebrated and it makes you miss it. Will you forgive me?” Caleb had stopped and knelt down in front of his precious gift God had given him to teach and lead. Halayias little gloved hands reached for her Papa’s cheeks and she put her head in his forehead. “Of course, Papa, I didn’t know either, will you forgive me? Maybe we can make a party for those who won’t go on going to Satan’s party. It could be like Moses and the Israelites who put the blood over their doors. Well just let it pass right by!” Halayia said with lighthearted fun. Caleb teared up, what an amazing little person you have given me dear God! He scooped Layia up with a big whoosh! “Yes, let’s go home my cub! We shall talk to mommy and Josh and come up with a way to let all this pass over and party in God’s love together! My son, don’t go along with them, don’t set foot on their path. Don’t follow the path of the wicked or walk on the way of evil doers. Avoid it, don’t go on it, turn away from it, and pass on. Psalms 37 – all of it. 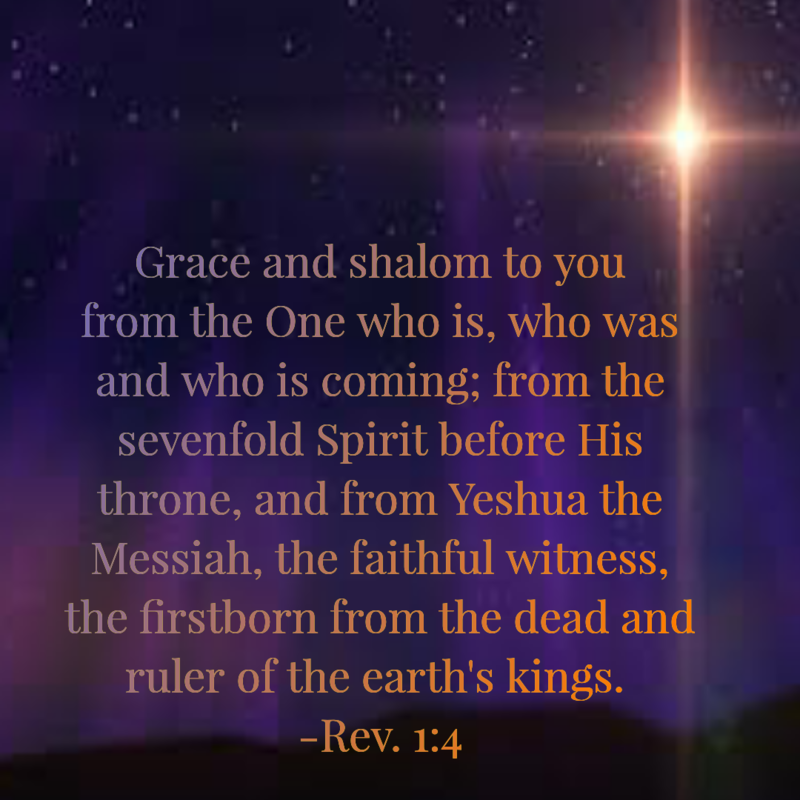 Moreover, it is God who sets both us and you in firm union with the Messiah; He had anointed us, put His seal on us, and given us His Spirit in our hearts as a guarantee for the future.